Multi-creatine source formula that increases body stamina, and decreases workout recovery time. 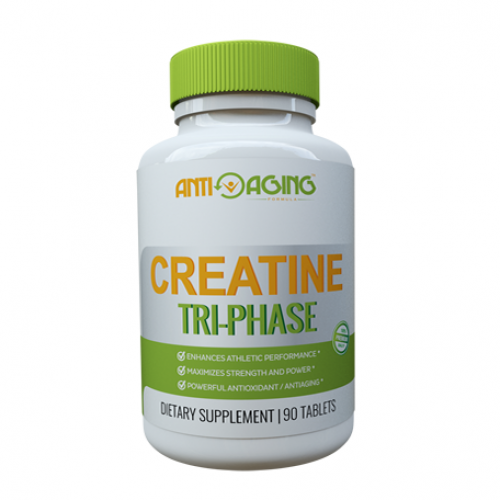 Creatine is produced naturally by the body and is essential for the production of Adenosine Triphosphate (ATP). ATP is utilized by the muscle fiber during physical exertion. As ATP levels are depleted, muscles become fatigued and levels of lactic acid increase. Supplementing the body with creatine monohydrate helps saturate muscle tissue with stores of creatine helping to increase stamina and decrease recovery time. 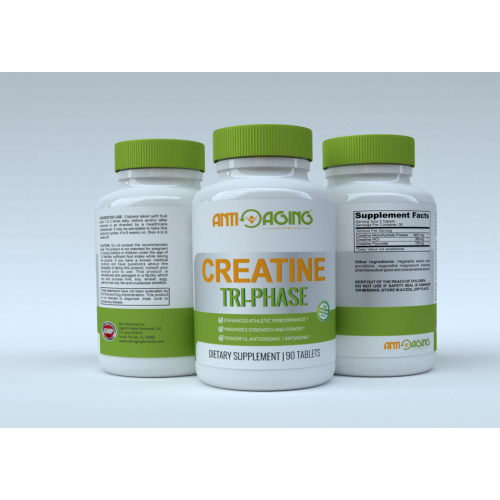 Creatine Tri-Phase offers a unique blend of three Creatine sources: Creatine Monohydrate as the dominant ingredient supported by Creatine Phosphate and Creatine Pyruvate. For best results, take this product with orange juice, grape juice or any high carbohydrate beverage and take before, during and after workouts.